Order your tickets through Eventbrite. Ben Geilhufe, MA, LPCC is a licensed therapist, trainer and consultant. He is the co-founder and Director of Train the Gap, a group of mental health and medical professionals who provide gender specialist clinical training for a variety of organizations. 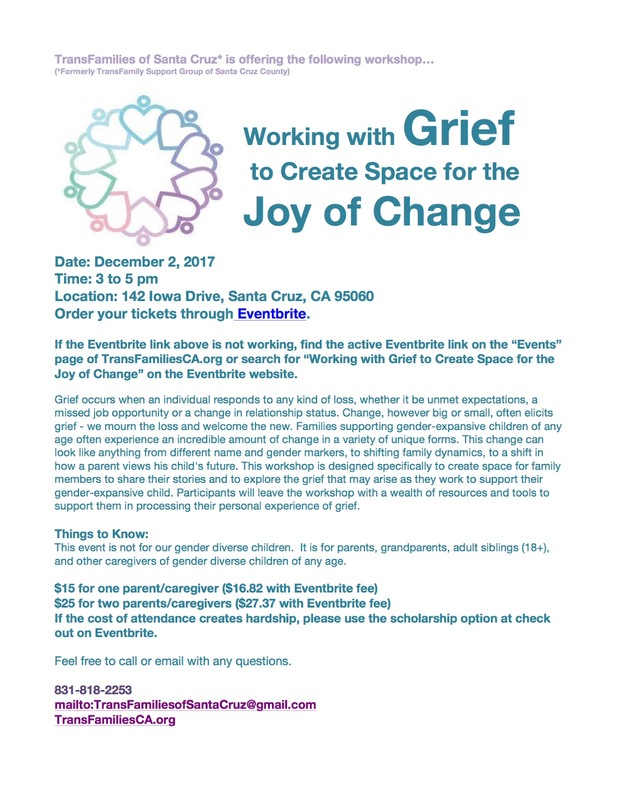 He is on the Leadership Team of the Gender Specialist Clinical Team of the Central Coast, and is an active contributor to Mind the Gap, the Bay Area gender specialist team. He has contributed to policy reform for higher education institutions, non-profit organizations, school systems and larger corporations around gender identity, awareness, and inclusivity. Micah Hammond received a masters in Counseling Psychology from Naropa University in 2013. She works as the Assistant Clinical Director at The Lotus Collaborative providing counseling for people with eating disorders. Micah is an Ally and has presented at conferences and trained professionals supporting gender expansive identities in treatment settings. Ben Geilhufe presented this workshop forTransFamily Support Group members in 2015. It was a significant support resource for those who attended. We are so pleased to offer this workshop once again, and our only regret is that we did not do it sooner. Do not miss this opportunity; register today. Keep in mind, this event is not for our gender diverse children. 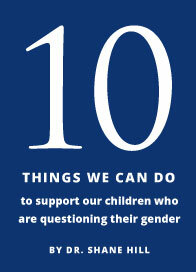 It is for parents, grandparents, adult siblings (18+), and other caregivers of gender diverse children.